A wall was saved and is about to be transformed! 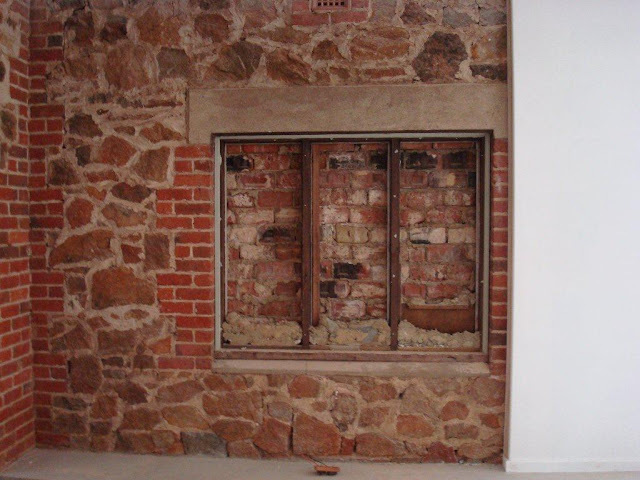 Initial plans for the extension of the Carnamah Museum were modified to prevent the loss of an 84 year-old stone wall. The building was once a tearooms and residence but was mostly demolished many years ago. In the interests of saving what remains the museum extension was changed to instead go around the wall. Last week we were extremely excited to learn our Mid West Regional Grants Scheme application was successful. With funding secured we're very pleased to show our plans. The saved wall. Many years ago it was an external wall, but it's now an internal one. Roughly how the wall will look - with a view into the past looking down Macpherson Street. 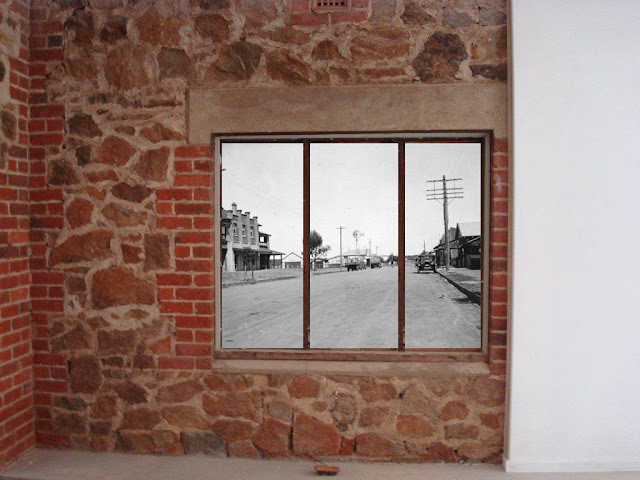 The photograph we hope to use is one of Carnamah's main street in 1932. It was taken by well-known Perth photographer Ernest Lund Mitchell. With his photographic business in decline Mitchell left Perth during the Great Depression and shifted to his farm in Carnamah. Our ideology is to create the feeling of looking through the window and into the past. You can visually see the location of the wall by taking a look at our Museum Extension Photos. What a beautiful idea and such a creative concept. Congratulations. I hope to see it one day soon when I pass through on my next trip to the midwest. What an amazing idea. Congrats on saving the wall and using it in such an innovative way. Completion of the window is getting closer! After many hours (days!) of editing the scanned photo it has now been printed, affixed to acrylic and is at our museum ready to be installed.